The relationship existing between a business process and the supporting software system is a critical concern for organizations, as it directly affects their performance. The knowledge regarding this relationship plays an important role in the software evolution process, as it helps to identify the software components involved by a software change request. The research described in this chapter concerns the use of information retrieval techniques in the software maintenance activities. 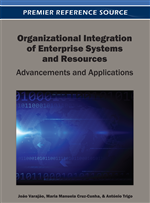 In particular, the chapter addresses the problem of recovering traceability links between the entities of the business process model and components of the supporting software system. Therefore, an information retrieval approach is proposed based on two processing phases including syntactic and semantic analysis. The usefulness of the approach is discussed through a case study. The issue of alignment was mentioned for the first time in the late 1970s and since then several studies and researches were conducted highlighting the alignment concerns.